You are here: Home / Climate / Varhrenholt: "I feel duped on climate change"
Varhrenholt: "I feel duped on climate change"
SPIEGEL: Do you seriously believe that all 2,000 scientists involved in the IPCC are deluded or staying true to the official line? Vahrenholt: It’s not like that. However, I am critical of the role played by the handful of lead authors who take on the final editing of the report. They claim that they are using 18,000 publications evaluated by their peers. But 5,000 of them are so-called gray literature, which are not peer-reviewed sources. These mistakes come out in the end, just like the absurd claim that there will no longer be any glaciers in the Himalayas in 30 years. Such exaggerations don’t surprise me. Of the 34 supposedly independent members who write the synthesis report for politicians, almost a third are associated with environmental organizations like Greenpeace or the WWF. Strange, isn’t it? 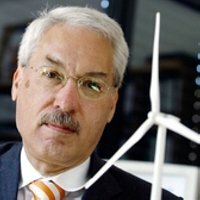 SPIEGEL: Why are you taking on the role of the climate rebel with such passion? Where does this rage come from? Vahrenholt: For years, I disseminated the hypotheses of the IPCC, and I feel duped. Renewable energy is near and dear to me, and I’ve been fighting for its expansion for more than 30 years. My concern is that if citizens discover that the people who warn of a climate disaster are only telling half the truth, they will no longer be prepared to pay higher electricity costs for wind and solar (energy). Then the conversion of our energy supply will lack the necessary acceptance. SPIEGEL: If we take your book to its logical conclusion, it will be unnecessary to reduce CO2 emissions at all. Vahrenholt: No. Even a temperature increase of only one degree would be a noticeable change. But I am indeed saying that climate change is manageable because the cooling effects of the sun and the ocean currents give us enough time to prepare. In any case, it will be easy for us in Germany to adjust. SPIEGEL: So, is it a mistake to concentrate exclusively on the reduction of carbon dioxide? Vahrenholt: Yes. In addition to carbon dioxide, we also have black soot, for example. It creates 55 percent of the warming effect of CO2, but it could be filtered out with little effort within a few years, especially in emerging and developing countries. And, in doing so, we would achieve huge benefits for human health. « WSJ: "When you're a hammer, everything looks like a nail"
And he thinks he is the only one to feel duped? (Just going by headline). Wow! , another inch towards real science. Crikey! Just imagine if Fritz lived in Australia … he’d be feeling triple duped having to pay the worlds most expensive carbon ‘dioxide’ tax after the announcement that there would be no carbon tax on top of converting to skepticism!